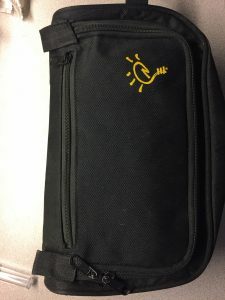 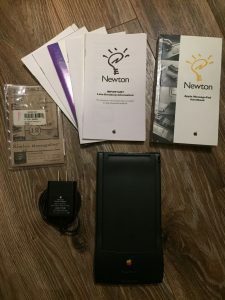 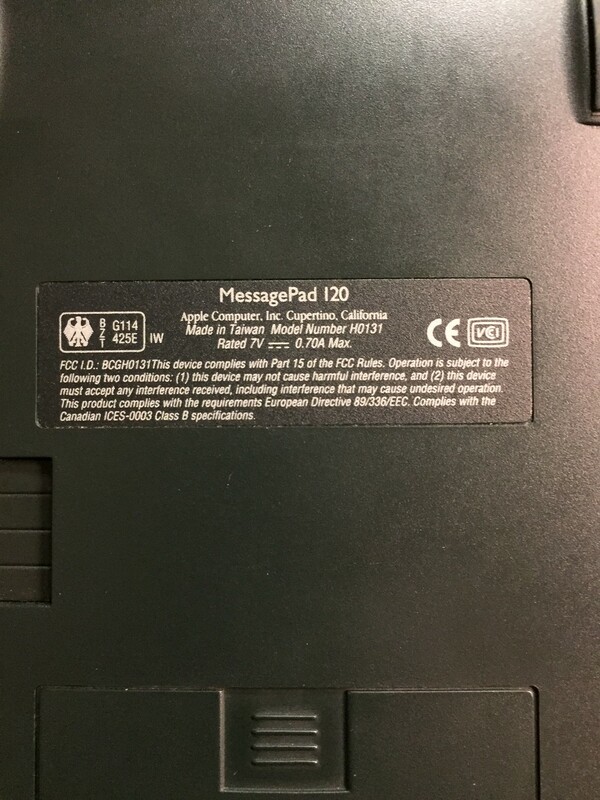 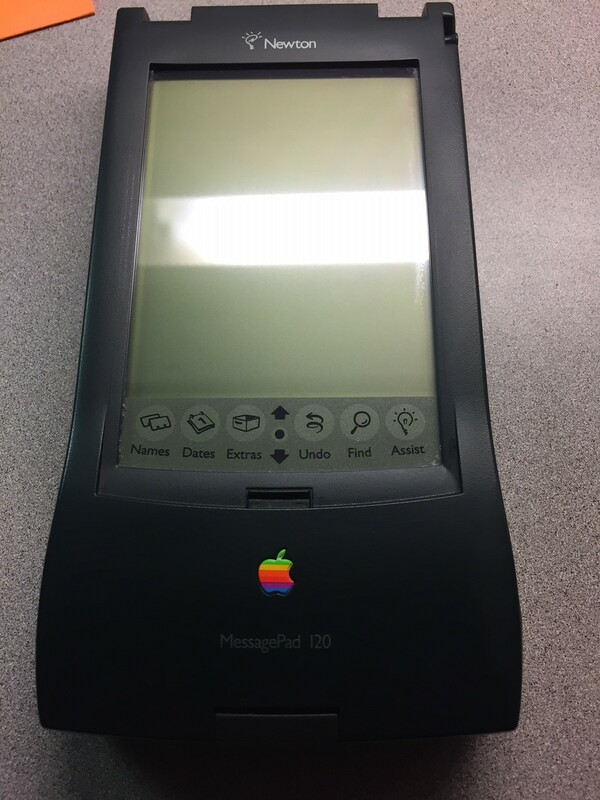 This is our Newton MessagePad 120 that is in excellent working condition. Handheld is complete with manuals, stylus, and power adapter. 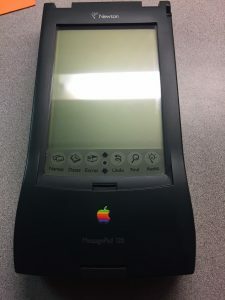 This model was introduced in 1995. Running on 4 AA batteries, unit features nonochrome screen (non-backlit) with resistive touchscreen that requires the stylus. 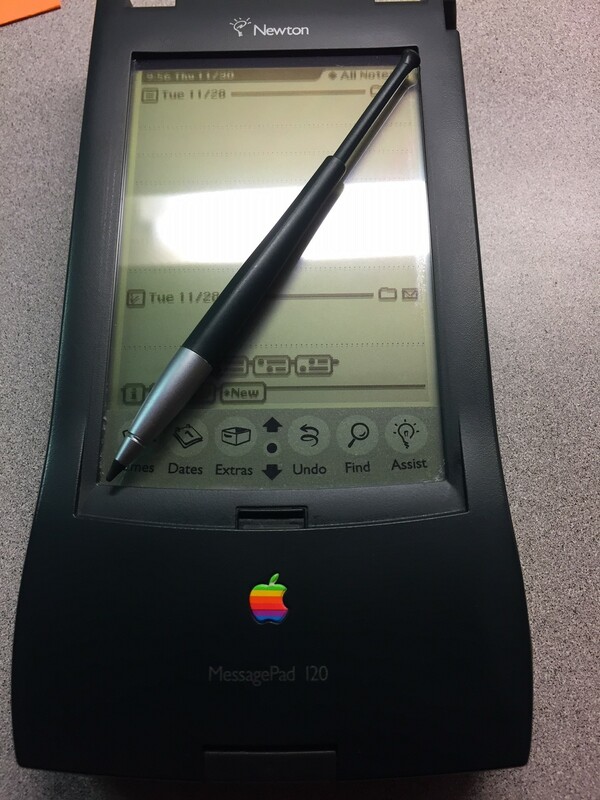 Built in applications include notes, addresses, and calendar.